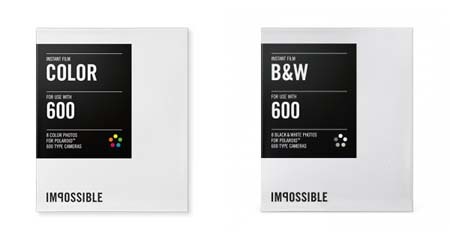 Impossible Project 600 Film is the best alternative instant film for Polaroid 600 instant cameras. Also there aren’t any other alternative for Old type 600 camera owners. Polaroid has stopped making film for these cameras years back so whatever original 600 film you find in market are already expired and insanely expensive. There’s a big change these film packs refuse to work because of ink and chemicals in it already dried. Impossible project group make their 600 film using same old machinery which were bought from closing down Polaroid factories. So these impossible project film are just as same as the Polaroid 600 film. Not recently have done some improvements so picture quality has become little bit better than before. Now original Polaroid film cost around $50 for 10 exposure pack and there is no guarantee if these would work or not. You can get black and white film packs or color film packs depending on your taste. The price is same. Also these film packs comes with different color frames and you can buy these color frame packs or usual white frame packs. Each pack let you do 8 prints unlike Polaroid 10 print packs. 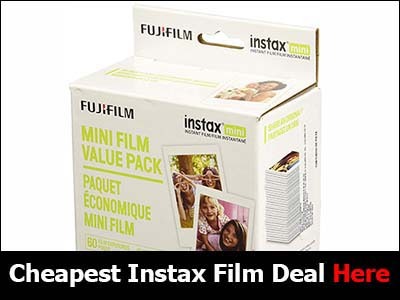 These film packs are lot cheaper than old expired Poalroid 600 film packs. You can get a pack for around $24 – $27 from Amazon with free shipping. You get these packs for $24 from Impossible project site but that’s without their shipping costs so it might be cheaper for you buying from Amazon if you live in USA or Canada. They do have branches and partner stores in several big cities around the world. Prices might not be this cheap in those since they do have to add their costs to the price. Their new film is different than the old types. 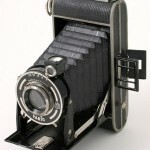 You can use both but old film has same problems you had with Polaroid 600 film like bad color prints , duds etc. Better buy these new films which you can see in the image at top of this post. This is the best alternative for Poalroid 600 film and also the cheapest. You won’t find anything better because there aren’t anything better. Only impossible project willing to make film for old Polaroid cameras. Anyway there is one important thing you need to know specially if you have never used one of those old Polaroid cameras before. Do not expect digital camera quality photos from these instant cameras. Not even the quality you get from Polaroid digital instant cameras or Fujifulm Instax Mini cameras. You will find many things only a Lomography fan would like. Things like over exposure in bright light or when you try take photos under bright sun. If you want a instant photo camera for event like wedding then you should get a Polaroid Z340 digital instant camera. Not a decade old camera like type 600.